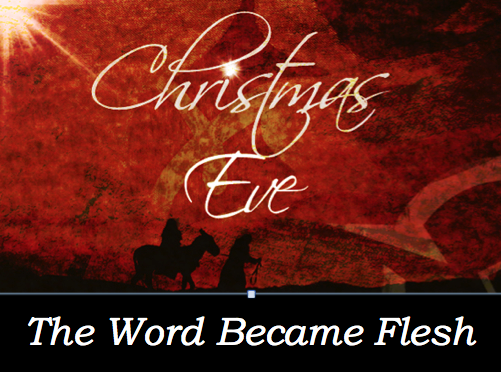 The story of Christmas is the story of God’s incredible love for us. But many times, circumstances cause us to wonder whether this love is real. Why is it so hard for us to trust God and God’s Word? This message will explore the reasons we doubt God and provide scripture to combat that doubt. This Sunday, we will look at why we often struggle to receive and believe all that God has done for us. 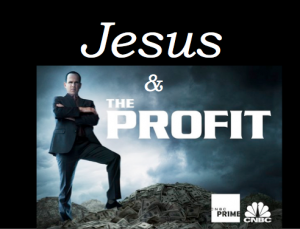 To prepare, read Matthew 19:16-26 and Romans 8:31-39. The Bible study WILL NOT MEET for the next 2 weeks– Dec. 23rd and Dec 30th. Hear the Christmas Story from the gospels of Matthew, Luke and John and discover the incredible love that God has lavished on us through His Son, Jesus Christ. 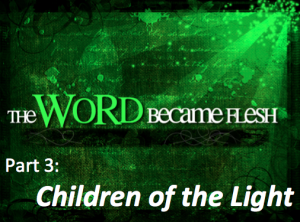 In this message, we continue an Advent series that will go through John 1:1-18 to see who Jesus is and why he came. In John 1:14-18, we see that God came to earth in the form of a man named Jesus. 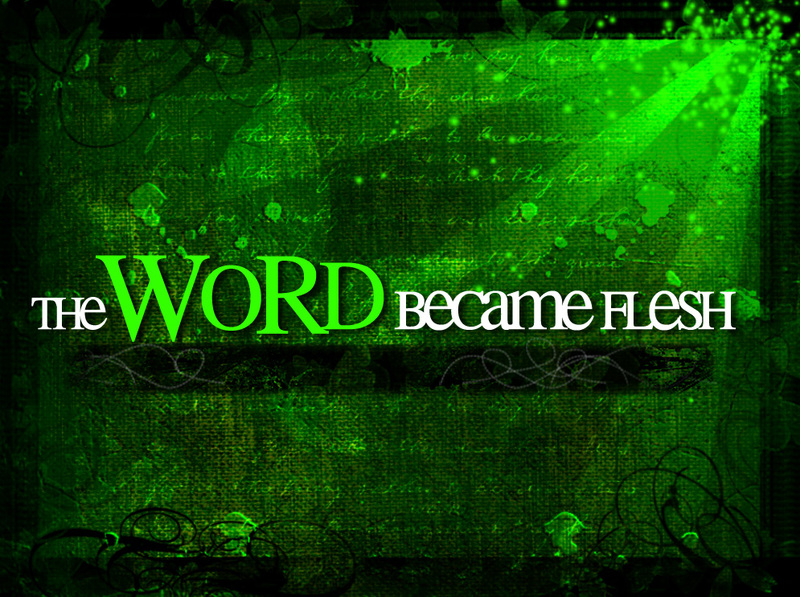 This Sunday we conclude our Advent series called The Word Became Flesh. Last week we saw that God was revealed to the world, he was rejected by many, and received by some. This week, we will discover some truths about God that make Christianity unique among all the religions of the world. In his great love, God comes to us so that we can have life with him. We could never get to God on our own, so he came to us. To prepare, read John 1:14-18. 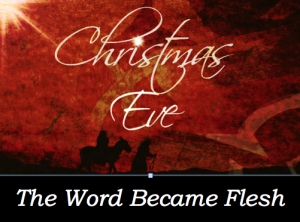 Christmas Eve Service: Thursday, December 24th @ 5:30pm. 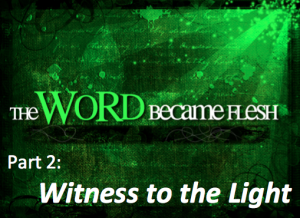 In this message, we continue an Advent series that will go through John 1:1-18 to see who Jesus is and why he came. In John 1:9-13, we see that Jesus is revealed, rejected, and received. 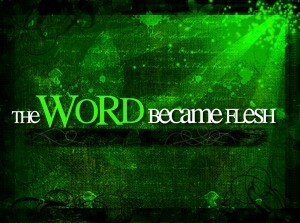 This Sunday we our Advent series called The Word Became Flesh. Last week we saw that God uses people to share the light with others. 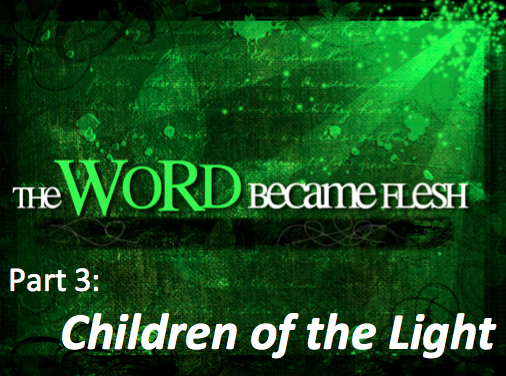 This week, we will hear about how we can become Children of the Light. To prepare, read John 1:9-13. As you read, ponder what John is saying. You will see that he explains much about the world we live in. As we go through this passage, we will discover that Jesus provides a way for us to have peace with God and, as a result, peace with others. Christmas caroling with the residents! In this message, we continue an Advent series that will go through John 1:1-18 to see who Jesus is and why he came. In John 1:6-8, we learn about how to be a witness to the light– and the JOY we can experience proclaiming the good news of Jesus. Last week John told us about The True Light and the hope that light brings to the world. 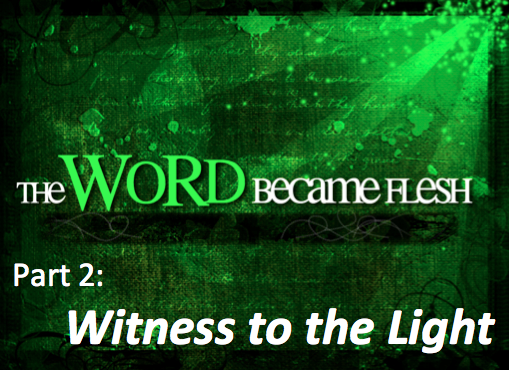 This week, we will hear about the Witness to the Light and the joy we can experience as we follow the light. To prepare this week, read John 1:1-18. 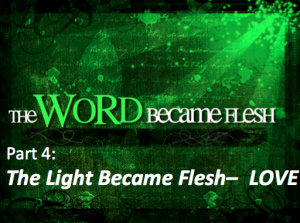 We we focus primarily on John 1:6-9 to learn about the light that came into the world.